Easy Water Fitness is a low impact workout that uses resistance of the water to improve muscle strength, range of motion and joint pain relief.Designed for those new to exercise, looking to get back into exercise, and recovery after surgery (with Doctor’s permission only). A small portion of the class is done in the deep end (optional). This class is designed to burn calories and make you sweat using the latest HIIT (high intensity interval training) and Tabata fitness trends adapted for the pool. Expect a high cardio/low impact workout that is challenging and effective! Enjoy the benefits of personal training in the water with one of our certified instructors. All children must be accompanied by an adult (age 18 & up). Each adult can supervise a maximum of four children. Children must remain within arm’s length of the adult they are swimming with. Children under the age of 12 and non-swimmers must have an adult in the water. Refer to current pool schedule for days and times. Instructors are well versed and sensitive to the needs of their students. 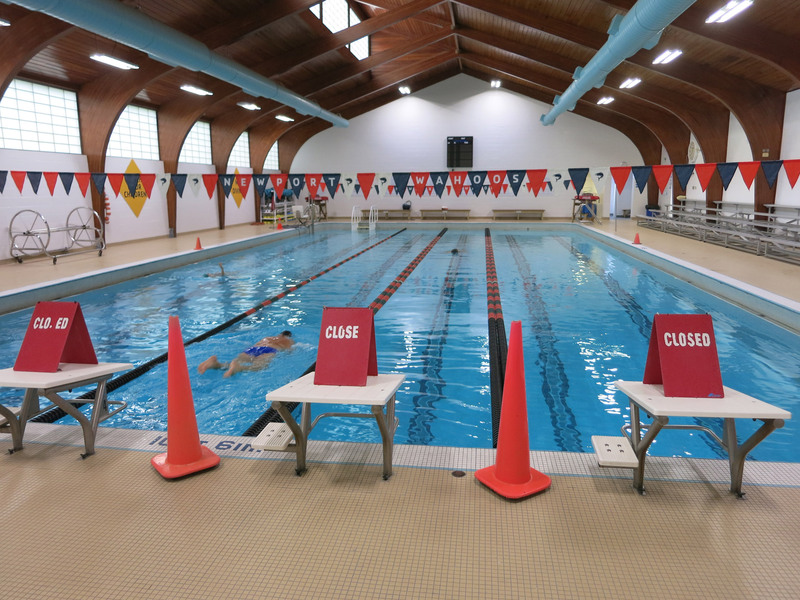 Learn the fundamentals of swimming or improve your strokes. Older youths are welcome. Ages 3 and up. Customized instruction based upon swimmer’s ability. Please call the Aquatics Director for more information.